A beautiful dress which can also be used as an Abaya Dress is just perfect for a wedding party or any special occasion. 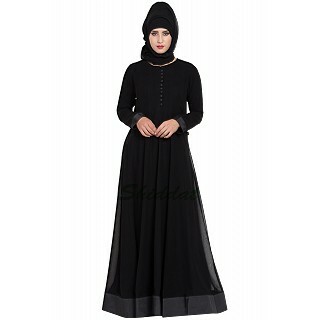 This party wear Abaya Dress comes in a double layer. 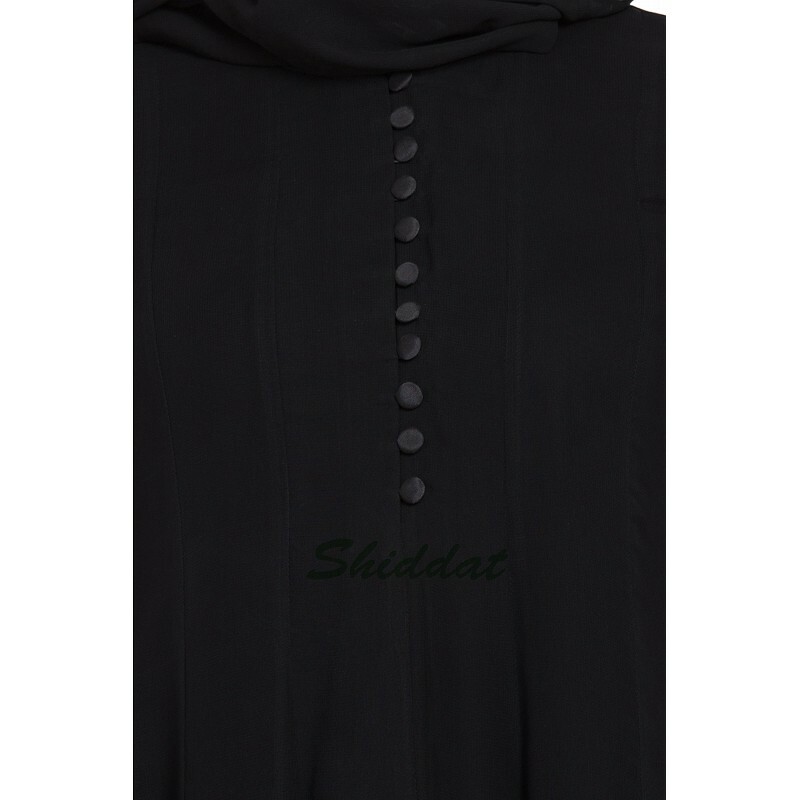 Umbrella flare, Matching and Shiny borders, Loops Buttons are a few of the highlights of this Abaya Dress. This article is made of Super Fine Georgette, Taffeta Silk and inner of Nida (Matte Finish) fabric which is very Soft, Breathable, Light Weight and easy to maintain. It gives a good fall to the garment.